I'm graduated as Professional Music Production from Berklee College of Music. I received 6 awards for "Best Professional Mastering in Brazil", in the years 2000, 2002, 2011 ,2016, 2017 and 2018, nominated 7 times at Latin Grammy's category "Best Engineered Album " and 1 time in the category "record of the Year" 2012. More than 106 projects mastered in Classic Master were nominated to the Latin Grammy and Grammy, 26 of those, winners. Hi Resolution Mastering in HD Files. Mastering for iTunes MFiT (Apple MFiT certified provider). 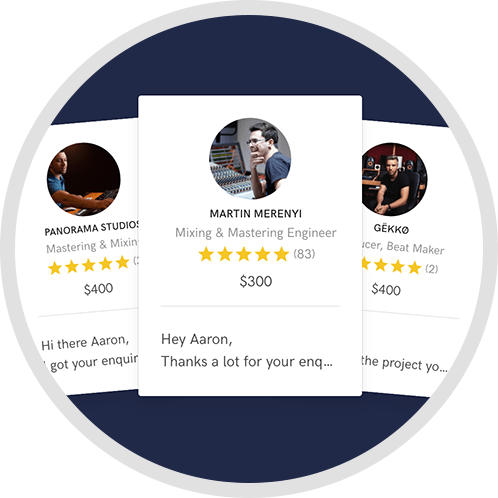 Mastering for Spotify, YouTube Music and Deezer. Mastering for Tidal, (HiFi and Master). The best master engineering I've worked with! Thank you, Carlos! Carlos is a Master of his art. Glad to have access to him via this site. His quality and expertise is unsurpassed! Another project mastered for all forms of streaming media. I'm sticking with Classic Master for all my projects, for sure. The results are always great. Carlos knows exactly how to approach every song. And Natalia's help is always amazing. This time it was an emergency Mastering session with a really short deadline. The Master is great as usual. Carlos is doing MAGIC to your tracks! Very beautiful, open and polish sound. And also very flexible to understand the needs of the songs, and suggestions to make the master suitable for the music style. It was my second song with Carlos , and I received a "Classic Master" within a day . Wonderful experience and Great quality Master ! Hope to send more songs to Carlos soon . . .
Carlos is very professional and very good! He had very good communication and was very easy to work with! Definitely recommend him! Carlos, once again, did an incredible job mastering one of my projects. We are doing a lot more, very soon! Thanks so much!!! My Mix sounded like a Million Dollar's after mastering at Classic Master ! Even though I'v heard my mix so many times, I wanted to keep hearing my song again and again after mastering by Carlos . Not just that , Carlos sent me a video of my song being played in his super cool studio . Absolute Pro . Get your songs mastered at Classic master ! It was great to work with Carlos, Quick turn around and great sound. Will def work with him again! Carlo is a great professional! He did the master of 2 EDM Tracks for me. So he can handle music outside his usual genres also pretty good. Excellent!instantly rehired for next project. An Awesome Mastering engineer. Carlos is patient and very professional. Simply awesome to work with. This is not the first review I have done for Carlos, and it won't be the last. Carlos is a Master! He did an excellent Job on a song outside of his Genre. I am very impressed with the quality of Carlos work. Carlos is a Master of his art--one of a kind! We are lucky to have such a person available to us on this site. He is professional & passionate about his music and does an amazing job. Could not be happier! There are many mastering professionals in the world, I have worked with many of them; And it truly has been excellent to work with Carlos Freitas, a true master of masters in the world of professional audio. I was infinitely satisfied with your work, my dear friend, and what to say of the attention Nati and your work team offered me! Another great work with Carlos using SoundBetter. I had a very good experience working with Carlos. Great communication, and even more important, an excellent result. He was able to add a smooth finishing touch and a little extra punch that was just what I was looking for. -- Thanks! Incredible Work. Carlos is an EXCELLENT Mastering engineer. Couldn't be happier. I truly recommend him. Thank you Carlos and Natalia!!! I am Overjoyed by Carlos's professionalism and Accuracy in Mastering. 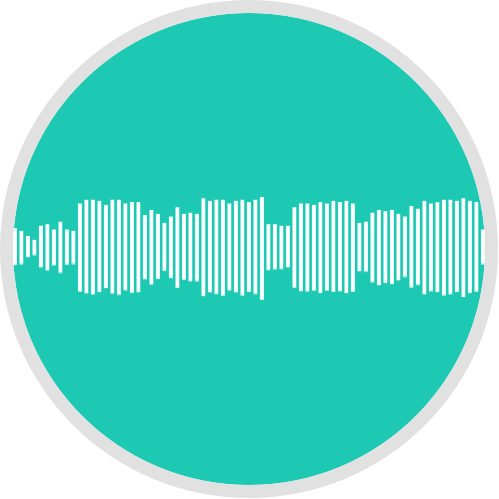 My track has come out exactly how i wanted it to sound like,he has done an incredible job and it is commendable to know about how patient he is with his client's demands at the same time being extremely cost friendly and determined. Carlos did such an amazing job on mastering our tune, great volumen and everything sound so transparent, the best part is he did in such amazing timing!! Highly Recommend!!!! hey carlos just wanna say thanks for doing such a great job on mastering my new single , cannot be more pleased ! looking forward to doing some more projects with classic master ..
Carlos was very hospitable in attending to my mastering needs. Prompt in delivery and willing to create a series of masters (rather than just one) for me to compare before finalising, he also lent advice on different audio formats and modern modes of mastering. Responsive, prompt and highly detailed across mastering. Working with Carlos is a real pleasure ; he is really helpful and very reactive. His work is great. Carlos did a great job with the song. Fast turn around time and great communication made is a great experience. I plan to send more work his way! Carlos did a great job. I'm very pleased with this work! It was amazing working with Carlos. He was the right Mastering Engineer for the JOB and also he delivered an out-standing quality of every single record that was given to him. For the Record he's very patience and easy to work with !! With a Great attitude. GOD Bless you Carlos Keep up the " Great " Work. Awesome!! Every time that i work with Carlos the result is just perfect! Beautiful sound. I have to say this again. Carlos Freitas is the big deal. What a stellar job! The whole team is really professional, great quality, fast and reliable. Everyone here is really happy with the final results and we couldn't say more about Carlos, Carina and Natalia. Carlos is a gentleman and a great professional. Elegant and beautiful sound! Just perfect in every sense! Carlos cares a lot about his clients and will always seek approval on every revision made before proceeding. He is therefore very considerate of a client's needs and displays an open willingness to adjust anything wherever necessary. Great experience with the mastering process. Carlos has many tools available and uses real hardware and real studio. I cannot say enough about Carlos Freitas and his team. What a great job! He's really passionate about his work and takes it seriously. Also, we had a chat before and after the master was complete to make sure we were both going on the right direction. I am 100% happy with the master and would highly recommend him. Thanks! Simply put, it doesn't get better than Carlos Freitas. Professional, courteous and brilliant, Carlos will do your mastering for you to perfection. There are many engineers in this business who know the technical aspects of the business but what I love about Carlos is he uses his ears!! Simply the best! Obrigado Carlos! When you work with some one like Carlos Freitas and the Classic Master Team, you know you are gonna get (hear and feel) the best results for your music. Has been a real pleasure to work with. Thanks a lot! Fantastic , BIG, LOUD, sound! Great engineer!!! Understood exactly what I was going for! His masters sound very BIG and CLEAN. A TRUE PROFESSIONAL. Carlos did an awesome Mastering. Super fast delivery and excellent sound! Ha sido un placer trabajar con Carlos. No esperabamos menos de alguien con su experiencia, doy por seguro que en el futuro haremos más trabajos juntos. It has been a pleasure to work with Carlos. Do not expect less from someone with your experience, I for sure in the future we will do more work together. Carlos is the best mastering engineer in my country. I have worked with him several times and I always get what I need. Totally recomended! Carlos Freitas is one of the most respectful professional when talking about mastering, a lovely person and a super easy going guy to work with. One of the best mastering engineer in Brazil ever! It's an honour and a pleasure to work with him always! O sorte !!!!! excelente trabalho!!!! O sorte !!!!! ter meu CD "Bina Coquet" masterizado pelo mestre Carlos Freitas!! da Classic Master! !, Além dele ser o cara, ainda tem uma super equipe!!!! Lançamento previsto pra Outubro de 2016!!!! O sorte !!!!! Reference when you think of mastering your project. His work speaks for itself. Great Engineer. Carlos is the supreme professional I expect in a mastering engineer. He is supportive, friendly, patient, has an amazing ear for detail and most importantly to me, he really loves to collaborate. I've been working on a variety of projects with him since 2001 and I am always looking forward to our next project together. O trabalho do Carlos sempre surpreende, pois, conhecendo-o, a gente já espera perfeição - mas, na hora do resultado, sempre vem um algo a mais que ele, com sua sensibilidade e emoção, consegue ainda extrair ou valorizar do som, arredondando, agregando, tornando maior. Mestre total da arte, parceiro indispensável! Respeito absoluto! It's always been a pleasure to work with Carlos Freitas. The term "golden ears" is a bit worn these days, but there's nothing better to describe Carlos amazing talent. He's always very respectful regarding the mixer's work on a project, and yet every single work I've done with him sounds it's best. And if this wasn't enough, he's a great guy! Carlos Freitas é o melhor engenheiro de masterização do Brasil.Tenho muitos CDs e DVDs finalizados no Classic Master seu estúdio e minha satisfação foi sempre completa com o seu trabalho.Recomendo a todos que queiram ser respeitados em sua obra esse engenheiro que adora musica e faz do seu trabalho arte! Sem falar da qualidade do equipamento da Classic Master, Carlos Freitas já fez de tudo em termos de estilo como engenheiro de masterização e antes ainda de gravação e mixagem, juntando toda essa experiencia, musicalidade e bom gosto o resultado de seu trabalho é impecável!!!! Carlos Freitas, sempre minha primeira escolha, certeza de trabalhar com um mestre sensível que ouve seu som, ouve seu cliente e que não poupa esforços pra chegar no resultado almejado. Sinto até mais alegria e confiança em mixar um trabalho, já sabendo que posso contar com o Carlinhos pra finalizá-lo! Obrigado, e até a próxima aventura sonora! My name is Luiz Brasil, producer, arranger, composer and musician. For me the work that Carlos Freita "Classic Master" does, is synonymous with guarantee of the highest quality and sound, that music of any professional want to have. Deliver my product to complete it, is to make me quiet and safe it will be the best !!! I have mastered with Carlos Freitas since my first gypsy jazz project, in 2008 (Hot Club of Piracicaba). He just finished the Hot Jazz Club's new gypsy jazz cd, "chama". He did a great job. He is an amazing professional. He is one of the best mastering engineers in the world. It was an honor to work with him. Carlos knows how to push the sound, how to give power to your music with all nuances required. Therefore, your songs, your tracks sound with much presence, depth and "shinning" like the rays of the sun. Carlos is a great sound engineer in Brazil and for the world by his big experience, his sensibility and his precision. He really loves the music. Em muitos de meus álbuns, tive o privilégio de contar com o excelente trabalho de masterização do Carlinhos Freitas. Peso, clareza e definição nas medidas certas. O resultado sempre me deixou muito satisfeito! Sofisticação e musicalidade! Define para mim o primor do trabalho desse Master da Master, em todos os trabalhos que já estive ao seu lado. Sophistication and musicality! Defines for me the work of this Master of the Master, in all the jobs that I have been at his side. Carlos Freitas e sua equipe me deram os melhores resultados que consegui nesses últimos anos. Muita atenção na compreensão do trabalho, atendimento atencioso e muita categoria nas interferências, além de um estúdio muito bem equipado. Obrigado, Carlinhos, por essa antiga e deliciosa parceria! Meus trabalhos nas suas mãos sempre vão além. Mestre. I would like to recommend and certify the high quality and the talent that make Carlos de Freitas the best mastering engineer in South America. Based in São Paulo and working in the music for decades, his company Classic Master can make your product sounds much better than you think. One of the best Mastering Engineers in the world, mastering 99% of my mixes for the past 15 years. Un verdadero guru del mastering. Trabajo impecable, hecho en tiempo record y con una comunicación estupenda. Si buscas a alguien que trabaje con amor, dedicación, años de experiencia y profesionalidad, Carlos Freitas y el equipo de Classic Master son una garantía. Muy agradecido con toda la experiencia, una maravilla. Trabalhar com Carlos e' sempre, alem de um grande prazer, uma chance de aprender mais sobre audio, sobre as respostas e melhores aplicações do equipamento. Alternando entre as compressões digital e analogica, Carlos consegue aplicar o que cada material necessita, de acordo com sua caracteristica. Muito obrigado e ate' o proximo projeto. Em 2004 fiz minha primeira master com o Carlinhos e já somamos mais de 8 projetos até hoje. O profissionalismo, e o respeito com a música, mixados e masterizados em puras frequências de bom humor e inteligência, sem dúvida definem o trabalho incrível e apurado desse grande amigo e mestre, Carlos Freitas! Hace unos años, cuando estaba trabajando en mi primer EP, escuché un gran disco de Julián Ávila, guitarrista colombiano, masterizado por Carlos. Decidí masterizar con él y desde entonces todo lo que hago pasa por sus procesos. Un trabajo, limpio, garantizado y lleno de buena energía. Since 1997, I've mastered over 60 projects (CDs and DVDs) with Carlos. In my point of view, Carlos has the most important qualities a mastering engineer could have, flexibility, experience and feeling to understand the aesthetic particularities of each project. So, he is always working to reach the sound result that each album needs. Thank you! I have mastered many albums with the great mastering engineer Carlos Freitas at Classic Master in São Paulo. Amazing professional, talented and creative, we were Latin Grammy Awards in 2009 with the cuban diva Omara Portuondo's album : "Gracias", produced by myself and Alê Siqueira. Thank you my friend for your great job. I have had the pleasure of working with Carlos many times, both as an engineer and a mastering guru. His attention to detail make his work impeccable - he has monstrous ears and he has saved my life a few times! I have mastered over 45 CDs and 20 DVDs with Carlos since 2001. Professional, dedicated and extremely talented and creative with audio, Carlos is the mastering engineer that I have trusted all of my projects with for the last 15 years. I cannot imagine producing a project without relying on his expert contribution in finalizing the album.Thanks! I have been mastered my albums and record company´s productions with Carlos Freitas for 20 years and every new project, I am surprised with his renewed progress and excellence of work. I cannot imagine my future works without his essential contribution. A truly master. Carlos é um esteta supremo do áudio. É sempre uma bela surpresa escutar o parecer sônico dele sobre tudo que gravei nos últimos anos. Uma parceria que me dá muita sorte e prestígio mundo afora. A: I like so much my work on Brazilian Singer Ed Motta's last album "Criterion of the Senses". Ed is purist and rigorous about their work and pushed me hard until we get exactly the result he wanted. It was hard , but we did it! A: Beto Neves Brazilian Mix engineer! He is so great to work and provide strong mixes in all genres! Strongly recommended! A: I start my mastering process listening to the album, preferably with the songs in the final sequence . Then, I talk to the producer via skype about his expectations for mastering, references and other needs, taking notes for details for each song on a worksheet. After the talk , I separate the songs by style to be mastered in blocks. I test different set ups among my analog equipment until find the most suitable and move on the process, always comparing the songs to each other, to get a good balance between them. At the end, I do final editions, balance and final adjustments and then, I listen the final master before sending the project to the client for approval. A: The mistake are mix and master simultaneously, something increasingly common nowadays, making the production process miss an important component, which is performed by an expert in mastering . A: Emotion, always! My goal is always understand and enhance the emotion contained in each song during the mastering process , detecting elements of music that can help the artist to express and enhance the emotion of its art, in a way , that their fans can capture that feeling to listen to their music . A: What do you think about my mix? I usually say that when a mix comes to my studio to be mastered , it is ready and approved by artist and producer and I focus my work on the emotional aspects and technical for distribution and as a matter of ethics, I do not make judgments. A: What message does he want to tell his listener through his music and what I can do in my mastering work to help him to achieve this goal ? A: Tell me all possible information about your work. This will help me to understand your expectations and reach the best result of mastering your project. A: I like to work always together with the mixing engineer and the producer of the album. Teamwork is essential to achieve the best result always. A: I would like to work with Paul McCartney, mastering one of his album, for all that he represents to the world music . A: I think that the process of equalizing or compressing are personal skills and equipment are tools, so it does not matter if your tools are analog or digital, it cares if you are skilled to use them. A: I promise to do my best during mastering process working on his music in order to help them to express and enhance the emotion of his art for their fans. A: B&W Monitors, Maselec MEA-1 EQ, Maselec MLA-1 Comp, Maselec MTC-1 and Manley Varimu Compressor. A: I start working with audio in 1983 as second engineer and in 1986, recording and mixing engineer. In 1992, I began my mastering journey until nowadays. A: Believe in what you are listening! A: Brazilian, Latin Music and World Music. A: Focus !! During the mastering process , I keep my focus on process strongly always. A: Our mastering set up consists of a mix of tubed and Solid State equalizers and compressors from Maselec, Manley and Dangerous. They are all connected to the Maselec MTC-1 mastering transfer console, which in addition to controlling the monitor, allows me to quickly change and choose the type of equipment to be used during mastering process considering the song's style. The digital converters are the Lavry Golds , which in my opinion are the most transparent converter available and in the digital domain, I use the Fab Filter Pro L2, Universal Audio, Sonnox and PSP digital limiters, Isotope RX7 for sound repair, Pro Tools for Playback and soundBlade for final edit. A: Bernie Grundman and Doug Sax always inspired me as Mastering Engineers. 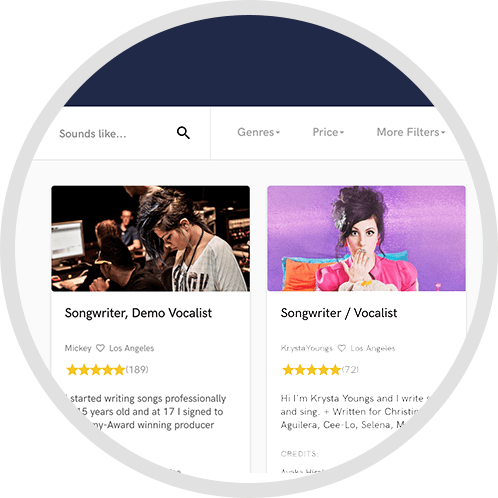 A: Mastering projects for online distribution such as Spotify, Tidal, YouTube Music and iTunes MFiT. Mastering for Vinil is growing faster. A: We are working hard to increase final quality on stream services. We do different masters for each stream service considering each Loudness Normalization protocols. A: The emotional aspect care during mastering process. Mastering for all major Stream Services, CD (DDPi), Video (YouTube) and Vinyl. Manley and Dangerous Analog Mastering gears. Recall and Instrumental Version free of charge. We had the privilege and pleasure to participate in the Olympic Games Rio 2016 mastering all audio content for TV from the "Closing Ceremony" that was broadcast to an audience around 4 billion people around the world, made in the current standard of audio transmission for television with loudness normalisation BS 1770.1 and EBU R128. Classic Master Mastering Estúdios received the Brazilian Professionals Music 2016 Award for Best Professional Mastering Studio in Brasil and Carlos Freitas for best Mastering Engineer. Carlos Freitas has built his mastering studio Classic Master in "a city where every day feels like a Monday, and every night a Friday", it is no shock that there is a thriving music scene and Brazilian artists as well as artists from all over the world look to Carlos for his style of mastering. Ivan Lins, Brazilian Popular Music Legend, won the Latin Grammy at category Best Brazilian Popular Music Album for his last album "América Brasil" , mastered by Carlos Freitas in Classic Master Brasil. Ed Motta's new album, recorded in Los Angeles and mixed in Brasil, was mastered in HD here in Classic Master for Vinil and iTunes MFiT. His work covers a variety of genres utilising influences from jazz to popular Brazilian music. Carbono Lenine (Universal) Best Brazilian Pop Music and Best Brazilian Song, America Brasil Ivan Lins (Sony) Best Brazilian Pop Music, Não Pare pra Pensar Pato Fu (Sony) Best Rock Album, Ser Humano Zeca Pagodinho (Universal) Best Samba Album, Irmãos Victor e Leo (Som Livre) Best Country Music Album. "It's a love trip ," Carlinhos said about all 10 songs that comprise the album with amazing arrangements including strings, horns and woodwinds . It will be released in Brazil and Spain and then worldwide available on CD and iTunes MFiT .